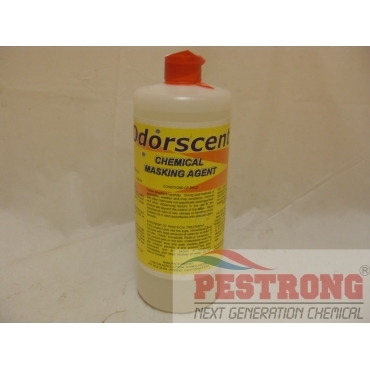 Where to Buy Odorscent, Odorscent - Chemical Masking Agent - Qt - $59.95 for Sale with Fast Free Shipping! 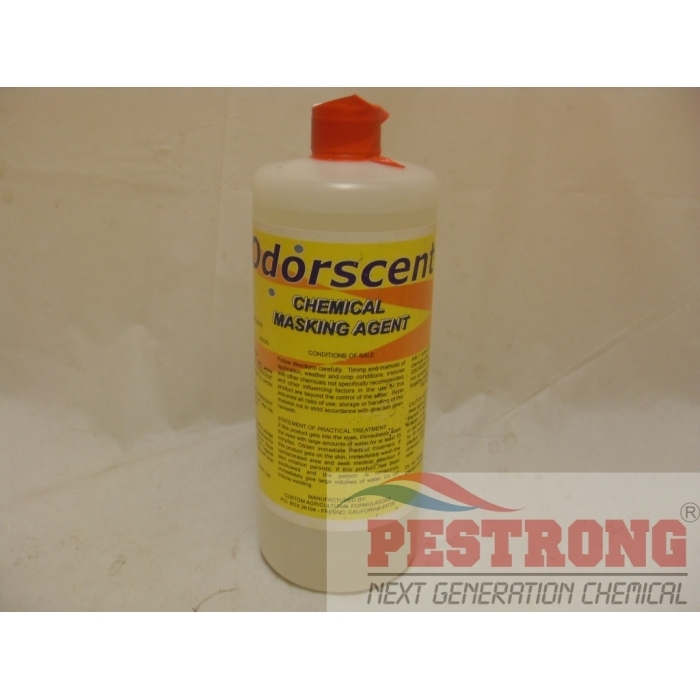 Odorscent - Chemical Masking Agent - QT is specifically designed for disguises undesirable odors caused by certain crop protection chemicals like orthene, 2-4D, 3 Way, Pramitol Herbicide. Not only for Herbicide, can be used for pesticide, fungicide, defoliant or desiccant also. Are you tired of strong chemical odor? you or your customer complaint? You get compliments all the time from both customers and the neighbors about how our spray smells without Odorscent. If you want to actually get compliments on how GOOD a lawn smells, Use Odorscent! It is known as a "chemical masking agent". The directions is 1 ounce of this stuff for each gallon used chemicals in the mix ( not gallons of water). for example, 8 ounces of Odorscent would be added to a 200 gallons tank mix containing 8 gallons of pesticide, herbicide, fungicide, defoliant or desiccant. 32 oz use up to 32 gallons of undillute solution. If you use chemical with 1oz per 1 gallon of water, 0.008oz of odorscent in 1 gallon of water. A couple of drops is all it takes. The active ingredient is 100% methyl salicylate - which is wintergreen oil. Great products. Makes spraying some strong smelling chemicals/fertilizers not offensive and a pleasant experience. This has a very powerful yet pleasant scent. Mixing it with whatever I am spraying does weaken, but not by much. The scent goes from powerfully pleasant to satisfyingly pleasant. It does a great job of masking some foul chemical sprays. Great stuff, little goes a long way. Customers love it and get the sense that what i'm spraying is more 'natural'. It works as mentioned. Bad odor gone instantly. I never got bad odor again with this. I found great this product. whenever I spray herbicide, all smell like wintergreen. good. I bought and use it with most applications. It does mask the odor of most pesticides.